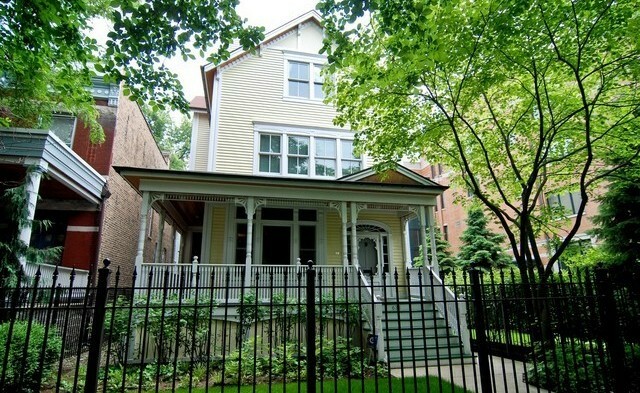 Chicago’s Lakeview neighborhood is home to some of the most desirable schools in all of Chicago. Both Hawthorne and Blaine Elementary Schools are ranked among the Top 15 in Chicago, so naturally, Lakeview single-family homes are among the most sought-after property types in the area. Much like Lincoln Park, Lakeview is dominated by serene tree-lined streets and a tight-knit sense of community that’s felt all throughout this part of north side Chicago. In addition, Lakeview is home to many fabulous summertime attractions which include nearby access to the beach, dozens of outdoor café and eateries, and of course the fabled Wrigley Field. So if you’re lucky enough to experience the single-family lifestyle during Chicago’s glorious summer months—or any time of year for that matter—there’s no doubt you’ll absolutely love every minute. Public transportation via the CTA bus or train lines is made easy all throughout Lakeview, so commuting to nearly any part of Chicago is a breeze. If you’d like more information on Lakeview single-family homes or would like to schedule an appointment to see a single-family home that’s currently on the market, give Ted Guarnero a call today at (312) 566-8141.